• Preview of New Album!!! Join over 30 singers, musicians and inspirational speakers this Friday 5/17 at 7:30 pm at the Center for Spiritual Living - Asheville for a special Benefit Concert for the Children of Syria. Proceeds will be donated to "Save the Children" for their work in Syria. Musicians/singers include the Spiritual Voices Community Choir, Daniel Barber, Sidney Barnes, Pilarrr Casero, Richard Shulman, Aurora Fox, Breazi Breazeale, Olympia Garrett, DeBorah Ogiste, Larry Williams, Clella-Ann Zavada, Mark Monteith, Marty Balash and Ron Lapointe. CD Release and Concert !!! One of the most beautiful recordings I've ever done, Bliss of Being is an album of deeply relaxing and expansive music to dive into and return rested and in tune with your natural inner alignment. Musicians on the album are (not shown) Adriana Contino - cello, and from right-to-left in the photo: Bob Hinkle - crystal bowls, Dielle Ciesco - vocals, Kate Steinbeck - flutes, and myself on piano. Cellist Elizabeth Gergel will be joining us for the concert. "You can hear real heart on every track." 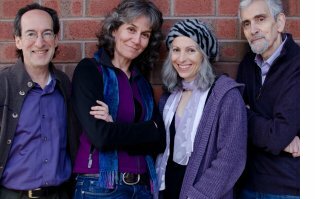 – Dr. Judith Schlesinger, reviewer and columnist, allaboutjazz.com, author of "The Insanity Hoax: Exposing the myth of the mad genius"
Fri. May 17, 7:30 pm Benefit Concert for the Children of Syria at the Center for Spiritual Living - Asheville 2 Science of Mind Way Asheville, NC 28806. Proceeds will go to Save the Children Federation, Inc. a 501(c)(3) organization. Admission, $10. 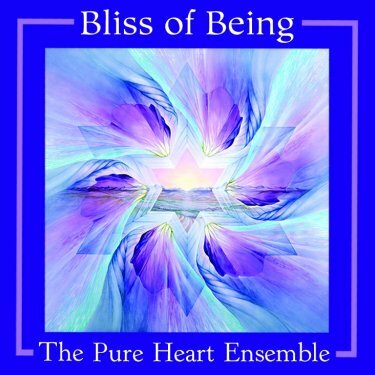 The Pure Heart Ensemble with Bob Hinkle - crystal bowls, Dielle Ciesco - vocals, Kate Steinbeck - flutes, Elizabeth Gergel - cello and Richard Shulman - piano, CD Release Concert for Bliss of Being! Admission $10 Bliss of Being CDs will be available for purchase! I recently had the amazing opportunity to participate in and play music for a seminar taught by healer/spiritual teacher Ron Young in Assisi, Italy, the birthplace of St. Francis and St. Clare. Visiting the sacred places there, even after having been there many times over the last 25 years, I was moved by the vibration that these two beings brought to earth through their total dedication to God. 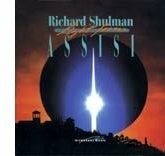 Here's "For St.Francis 1" from Light From Assisi.